Pastor Jeremy came to Concord Bible Church on November 12th 2006. He and his wife Jeanine have three children: Dylan, Jericho and Gentry; and their black Lab Blaze. 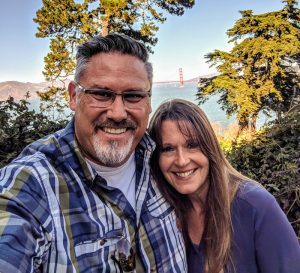 Pastor Jer (P.J) is a true Californian; being born in San Diego, grew up in Santa Maria and lived in Santa Clarita for the better of 20 years. Prior to serving in his current role at Concord Bible Church he spent 21 years in youth ministry – traveling to mission fields around the world – and coaching soccer. He is a graduate of the Master’s college with a B.A. in Organizational Ministry and a minor in Biblical studies. PJ is a graduate of Trinity Seminary with an M.A. in Pastoral Studies and Expository Preaching. His favorite quote is "No Retreat, No Reserves, No Regrets" from William Borden. When not absorbed in ministry he is in a constant pursuit of all things guitars. To relax he loves to work at jazz guitar, play worship songs and on occasion when possible fly fish. Email Pastor Jeremy. 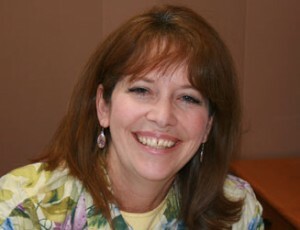 Lynn grew up in San Bruno, CA and has lived in Clayton, CA since 1991. She and her husband, Mike, have 3 adult sons. She has been a follower of Christ since 1987 and a member of Concord Bible Church since 1992. Having served in different capacities, she is currently the Church Secretary (since 2001) and also serves in Women’s Ministries. Lynn's favorite book of the Bible is Ephesians and her greatest desire for herself and all women is Ephesians 3: 17-19 "…and that you, being rooted and grounded in love, may be able to comprehend with all the saints what is the breadth, and length and height and depth, and to know the love of Christ which surpasses knowledge, that you may be filled up to all the fullness of God."